Move out and End of Tenancy Cleaning L21 Seaforth | Quality Property Care Ltd.
To receive the greatest move out cleaning in Seaforth L21, call 0151 673 0008 and ask for a free quote from our team. The customer support facility is available so you can get in touch with us after regular working hours for details or bookings. The company delivers wide selection of cleansing and maintenance tasks which can be combined with the cleaning at the end of your tenancy agreement. In order to be confident that everything is perfectly clean, the landlord will examine the job before giving the deposit back to the tenants. This is why, in order to make sure that your is residence is left in perfect condition, Quality Property Care Ltd. also offers: outside windows cleaning, jet wash gutter cleaning, handyman services for any small repairs that have to be completed, packing services which includes the packing components for your belongings, man and van services to make use of for moving your items out, and hard floor cleanup. For the landlords and real estate agencies, the company delivers a pre-tenancy cleaning service and also a standard cleaning service, if required. Kitchen appliance - refrigerator, fridge, dishwasher, washing machine, microwave, oven, toaster - clean inside and out, degrease, and getting rid of any residue. That service is ideal for tenants moving out, for landlords organizing a location for a tenant, property managers clearing out a room or people who are buying or selling a real estate. 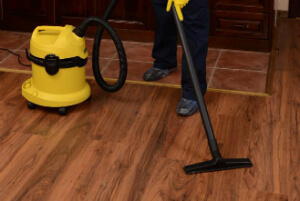 We work hand in hand with our clients to ensure their full pleasure; our cleaning teams do not leave the premise till we have fully finished the job. All of our tasks are guided by a plan developed or approved by our clients, in order to ensure that every little thing is up to their standards. Utilizing professional gear we can ensure that all surfaces and spots in the house are spotless, starting with a more general sweep of the property then focusing on specific areas like cupboards, bathrooms, kitchens, living rooms and so on. Don`t hesitate to make a reservation for our high quality end of tenancy cleaning service. We now have specific discounts on early reservation! Receive a free quote today! Call 0151 673 0008 now - we are adaptive enough and understanding and we will make you an appointment in a most convenient for you time!